A couple of years ago, Mark Bennett, who is a furniture maker in Malton, Yorkshire, with a genius for discovering beautiful and unusual wood, gave me this remarkable piece of willow. I knew that willow sometimes exhibits an attractive figure because I’d seen it in the backs of baroque cellos, which are sometimes made in that wood, but I’d never encountered anything quite as striking as this. 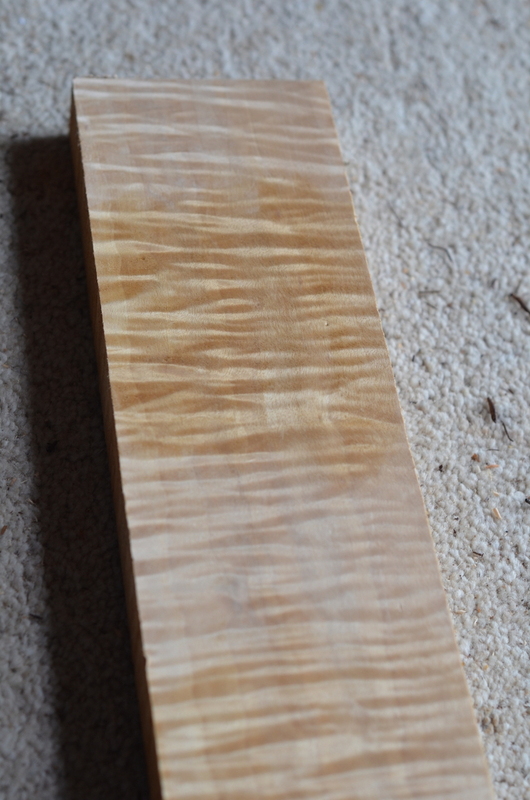 I wondered for a long time about how best to use it, toying with the idea that it might work as a guitar headstock. But willow is light and soft and I doubted that it would be strong enough. 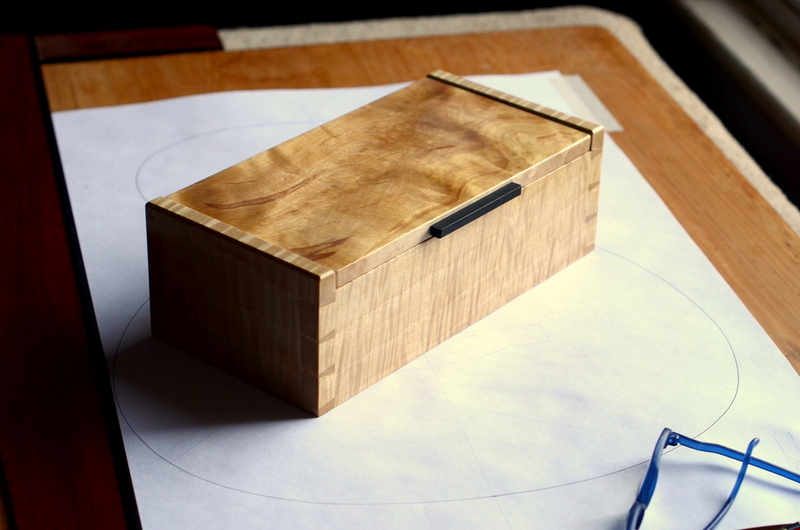 In the end, it seemed safer, if less imaginative, to use it to make a box. 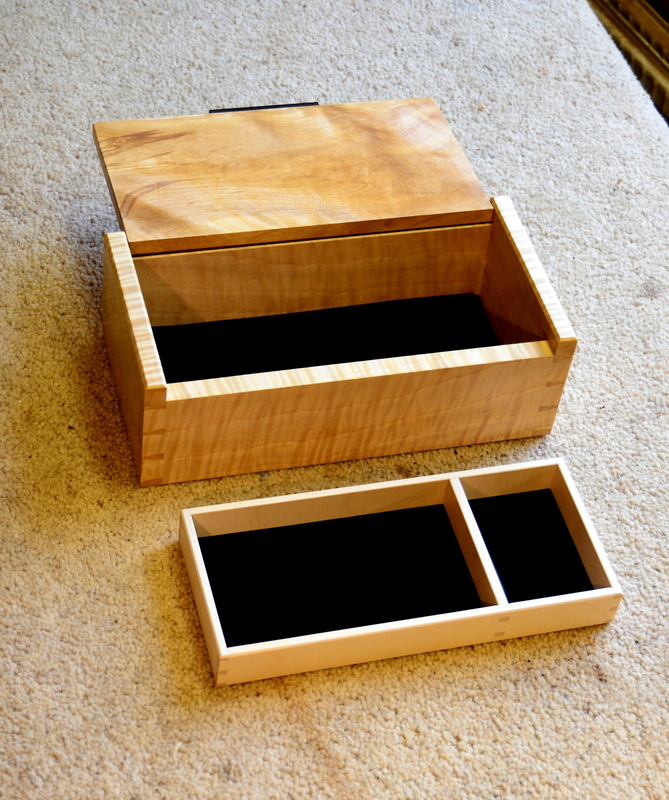 It’s a simple rectangular design (10½ x 5¼ x 3½ inches) with a single tray in sycamore. 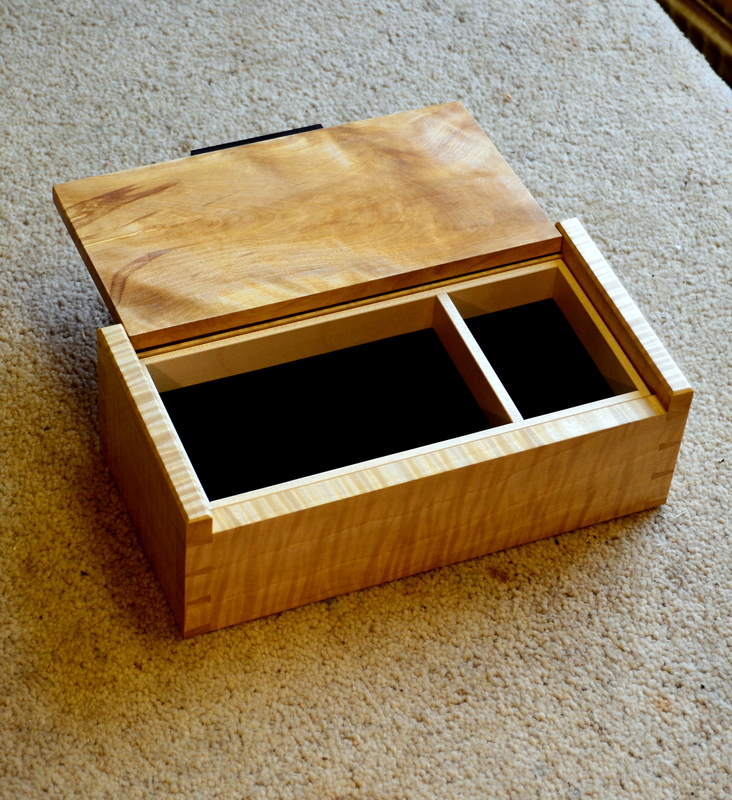 The lid is a piece of wildly figured ash, hinged on brass pintles. 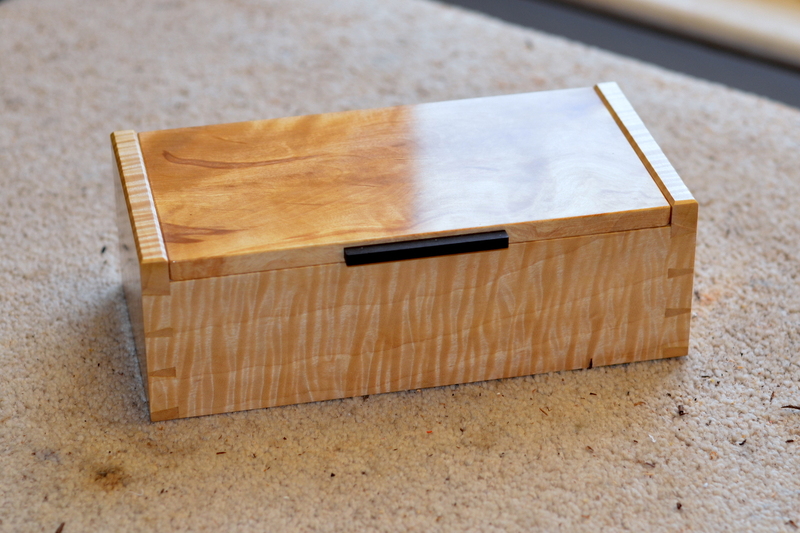 It’s finished in clear French polish. Larger photographs available by clicking on the thumbnails.